Looking for the perfect look to make your little one feel confident and cool in the pool? You’ve got to see the Zoggs Water Wing Vest Fixed Buoyancy in Pink. This pretty pink look features an adorable mermaid at the front and centre surrounded by happy starfish, along with accents sleeves gorgeous butterfly and flowers in tangerine, jade, and violet. With royal purple accents, this vest is as fun as they come! Who knew safety could look so good? 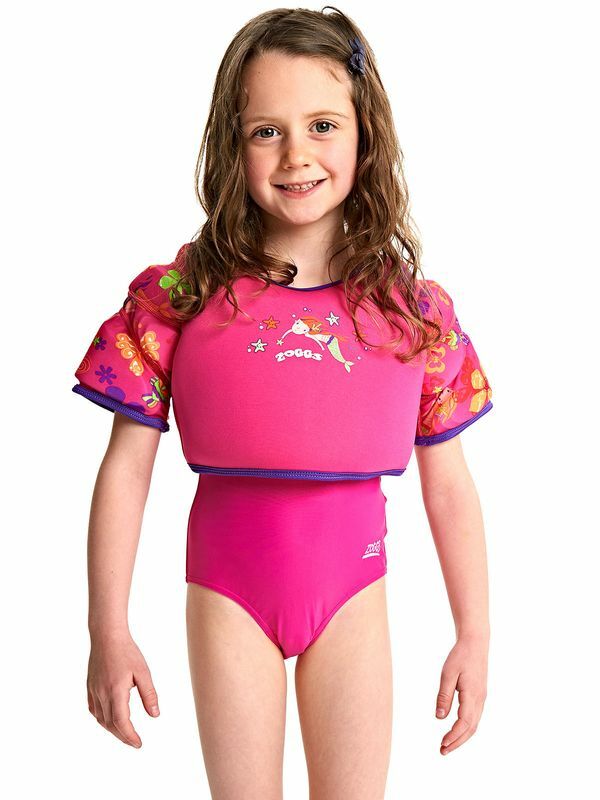 The Zoggs Water Wing Vest Fixed Buoyancy in Pink offers incredible buoyancy and a flawless fit that will allow your little one to get comfortable and confident in the water.